Beauty, Travel & Lifestyle - theChency's Diary : Wanna be a boss? Hai guys, today I gonna offer you some great thing here. Before I going to start my topic, can you answer yourself some questions here? Are you needs more extra money? Hope to never take out your hand to show your parents for money? Jealous for the successful boss? So, lady and gentlemen…. Here you go!!! We are living in 21st century, a technology world. We make friends on social websites, we play games downloaded from apps store, and we do shopping online too!! We wish not going out buy stuffs and just waiting for few days to let the postman delivering to us. Humans are too lazy now!! Catch this point and start an online business today!!! There’s a big advantage shopping online!!!! You can find something that is NOT AVAILABLE in your country or hard to search one by one. It is just too easy by type keyword and search in SEO and then a lot of results will came out. It’s save your time and discovery something new so there’s any reason more? Build Web Shop is a complete ecommerce solution to create simple, elegant and powerful web shop with purpose in Malaysia. Our ecommerce websites and applications that will help you grow your online business. In building your web shop, we'll utilize our combination of web design, feature rich shopping cart system, SEO and any customized requirement to make your online business successful. They offer a package start from RM399/year with high efficient services and nice templates. Why You Should Choose Our Ecommerce Solution ? Your own branded web shop. Low cost e-commerce as low as RM399 per year. 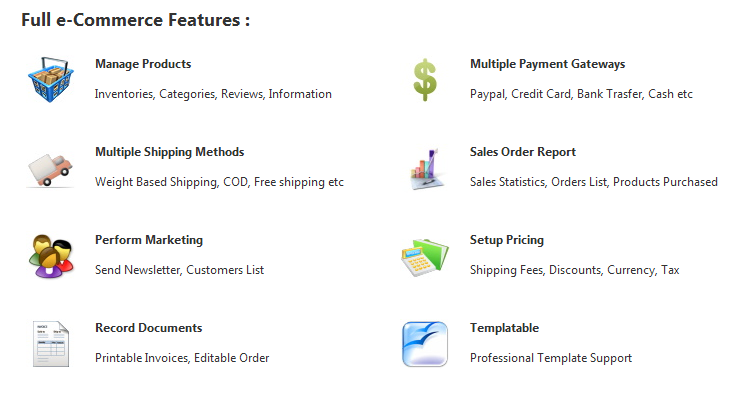 Sell physical and downloadable products. Accept paypal, credit card, western union and bank transfer online. Easy to use,No technical skills required. No software maintenance and installation. We will take care of it. Multiple plans and add-on are available, you can always start small and upgrade when your business grow. Perfect design templates in varies styles to choose from. Im interested to start online business, this article helped me a lot by providing the suggestions.